The Byzantine churches and monasteries of the Troodos Mountains are protected as a UNESCO World Heritage Site, in recognition of their extraordinary frescoes and mosaics. Perhaps the most spectacular are Agios Nikolaos tis Stegis at Kakopetria with frescos from the 11th century, and the Church of Archangelos Michael in Pedoulas, with its floor-to-ceiling frescoes of the Archangel Michael. Stretching for 600m along the seafront, from the marina to Larnaca’s Crusader fort, Finikoudes Beach is one of the island’s favourite promenades. Visitors stroll beneath the palm trees, pausing at local seafood restaurants or sunbathing on the sand. Inland are fascinating museums, including the impressive Pierides Museum, the nation’s oldest private cultural museum. Once the hedonistic party capital of Cyprus, Agia Napa (Ayia Napa) has 'grown up' in recent years, with a growing number of more sophisticated nightspots, restaurants and cultural venues, as well as the lively beach clubs that still attract hordes of young 20-somethings on tour. The resort also has some of the best beaches and diving opportunities on the island. With its rugged unspoiled landscape and sandy bays, the Akamas Peninsula is a wonderful place to escape and be at one with nature. Rough dirt roads run around the isthmus from the harbour at Agios Georgios, north of Paphos, to Chrysochou Bay near Polis. The peninsula is home to many species of birds and flowers and rare sea turtles nest here every summer. 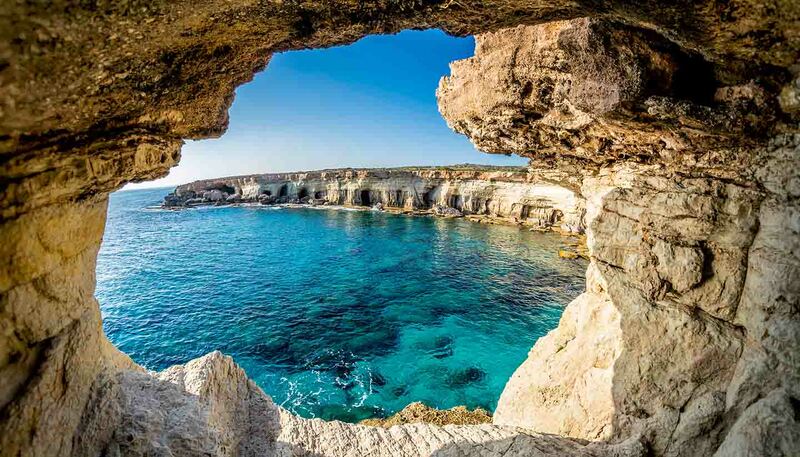 Cyprus was the legendary birthplace of Aphrodite, ancient Greek goddess of love, and this miraculous event has been mapped to Petra tou Romiou (Rock of Aphrodite), a dramatic marble outcrop rising from the turquoise ocean between Limassol and Paphos. Nearby are the imposing ruins of the Temple of Aphrodite, marking the site of the ancient city of Palaipafos. The most untouched quarter of North Cyprus, the scenic Karpaz peninsula juts east towards Turkey, fringed by some of the most unspoiled beaches on the island, most of which see more nesting sea turtles than tourists. Beyond, at the very tip of the peninsula is the splendidly isolated Orthodox monastery of Apostolos Andreas. The magnificent walled city of Famagusta, in North Cyprus, was a wonder of the ancient world, with towering Frankish churches dotted around its sandstone streets. This was the real-life home of the governor who influenced Shakespeare’s title character in Othello, and operated as Cyprus’s most important port before the 1975 war. Today, the churches are picturesque ruins and the city snoozes quietly within its mighty Venetian city walls. The Cypriot capital is sliced in two by the Green Line, which divides the island between the Republic of Cyprus in the south and the Turkish Republic of Northern Cyprus in the north. Both sides are studded with ancient mosques, churches and winding streets of stone houses. The historic old town is bound by towering Venetian city walls, and must-see sights include the spectacular Byzantine Art Museum, St John's Cathedral and the Cyprus Museum. The northern half of the Cypriot capital feels even more lost in time than the Greek half. Its focal point is the grand Selimiye Mosque, formerly the Ayia Sofia Cathedral, which is visible from the southern half of the city. Easing relations between the two governments mean that jaunts across the border are easy today. Once an important Roman and Venetian port, Girne, formerly known as Kyrenia, is one of the jewels of the Mediterranean. Set around a postcard perfect harbour guarded by a vast Venetian fortress, this picturesque town has played witness to most of the significant events in Cypriot history, from Hellenisation to the arrival of the Crusaders. It’s probably best known for its castles, one of which houses the remains of a merchant ship dating back to the fourth century. The friendliest resort in the republic, pretty Paphos is set around a picturesque harbour, dominated by an imposing medieval fort. It's worth visiting during the summer festival when the sound of opera reverberates around the ancient walls. The city is also famous for the Greco-Roman, rock-carved Tombs of the Kings and the immaculate ancient mosaics in the House of Dionysos. The largest and most famous monastery in Cyprus, Kykkos was founded in AD1100 by the Byzantine emperor Alexios Komnenos. Set in gorgeous pine forests, the monastery is dedicated to the Virgin Mary and is home to one of the three surviving icons painted by the Apostle Luke. It is also renowned for its stunning museum of icons, woodcarvings and manuscripts. Tucked away near Larnaca International Airport, the Hala Sultan Tekke was once one of the most sacred shrines in the Muslim world, housing the ancient tomb of the aunt of the Prophet Mohammed. Now quietly forgotten, it's a lovely 19th-century Islamic structure, set amidst date palms beside Larnaca's Salt Lake where migratory flamingos stay in winter. The charming village of Lefkara, between Limassol and Larnaca, is famous for silver filigree and lace. Legend has it the Italian painter Leonardo da Vinci visited Lefkara in the 15th century and purchased some of its lefkaritika lace for the cathedral in Milan, and in doing so secured its fame. Surprisingly for an island squeezed between Greece, Turkey and Egypt, Cyprus has a busy ski season from January to mid March, when the villages of the Troodos Mountains briefly transform into winter resorts. Both Platres and Kakopetria are handy for the ski slopes on Mount Olympus, but Troodos is actually the nearest resort to the skiing area. Just as the south has Kourion, so too does the north have Salamis, the ruins of a sprawling Greco-Roman city that spill out onto a gorgeous sandy beach just north of Famagusta. The site has been somewhat neglected since the island was divided, but the setting is magical, and there’s an impressively restored amphitheatre ringed by the ruins of temples, houses and civic buildings. Historic treasures have been spilling out of the ground in Cyprus for millennia and many of the finest pieces are proudly displayed in the Cyprus Museum, just outside Lefkosia's city walls. The vast collection includes astonishingly well-preserved Mycenaean pottery, prehistoric Chalcolithic figurines, Egyptian and Roman statues, and carvings from the Royal Tombs at Salamis. 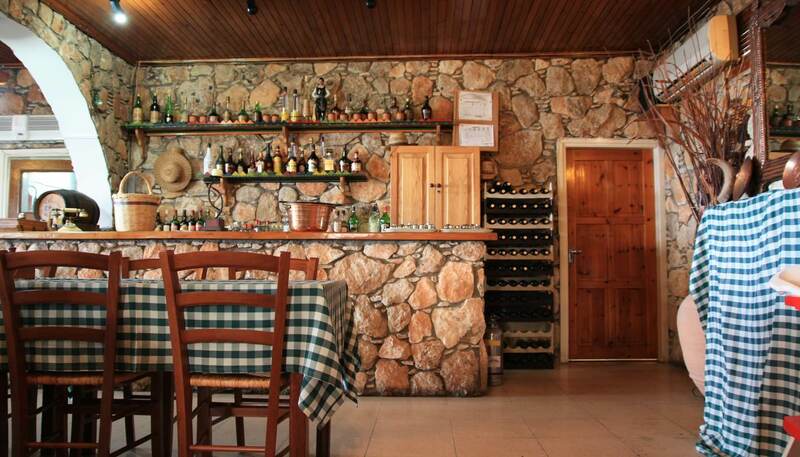 Rising in a dramatic ridge along the middle line of the island, the Troodos Mountains are covered in dry pine forests and dotted with medieval winemaking villages and UNESCO-listed Byzantine monasteries. The peaks are criss-crossed by hiking and cycling trails and in winter, locals ski on the snow-covered slopes of Mount Olympus, the island's highest point at 1,952m (6,404ft). Set in the gorgeous surroundings of the Akamas Peninsula, in the far west of the island near Polis Crysoschous, this isolated freshwater pool is where, according to legend, the Greek goddess of love bathed and enjoyed trysts with the god Adonis. Today, the natural beauty of the surrounding countryside is as much of an attraction as the grotto. Rising above the coastal plain on a rocky plateau, Kourin is perhaps the most spectacularly located ancient site in Cyprus. Spanning the ancient Greek and Roman eras, the ruins are centred on a magnificent amphitheatre, and there are numerous recognisable structures, including an agora (marketplace) and the House of Eustolios, with fine 5th century floor mosaics.